UNC-Chapel Hill School of Medicine EMS Fellow Dr. Stephanie Trowbridge performs CPR while providing on-line medical direction for the resuscitation of a simulated drowning patient. Carilion Clinic Emergency Medicine Fellowship for PAs/NPs Fellow Amber Darnoc manages the airway while a paramedic prepares an IV. 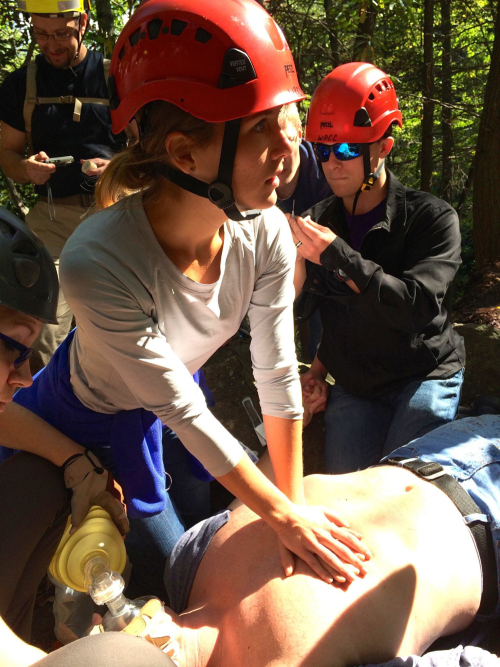 Esse quam videri in Pisgah National Forest at the 2014 Carolina Wilderness EMS Externship Seminar-Summit weekend. This is the only wilderness medicine board preparation course of which we are aware specifically directed at EMS Fellows. In addition, the curriculum and format is appropriate for any healthcare provider interested in didactic (lecture-based) WEMS training or EM/EMS board preparation. The course is also intended to offer some of Hawk Ventures’ Externship training opportunities to a wider physician audience. All 8 hours of the Seminar are, by design, didactic and classroom-based. 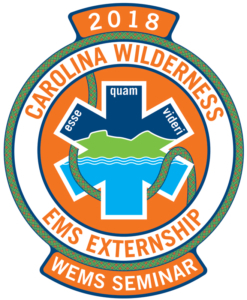 The Seminar is intended to dovetail with the Carolina Wilderness EMS Summit, a 16-hour course which is entirely hands-on and field-based in Pisgah National Forest. The two are always offered in a single weekend: in 2017, the Seminar will be offered September 22 and the Summit September 23-24. Seminar students are encouraged to register simultaneously for the Summit, to get a more robust experience and for more extensive hands-on training in Wilderness EMS. Dr. Hawkins is double-boarded in Emergency Medicine and EMS, and is the first physician ever awarded the title of Master Fellow by the Academy of Wilderness Medicine. He is the lead author of the Wilderness EMS chapters in both Auerbach’s Wilderness Medicine 7e (2017) and the National Association of EMS Physicians (NAEMSP)’s EMS: Clinical Practice and Systems Oversight 2e (2015), and is the editor of Wilderness EMS (2018). He is immediate past Chair of the NAEMSP Wilderness EMS Committee and medical director of Burke County (NC) EMS, which fields the oldest WEMS team in North Carolina, as well as medical director of the NC State Parks system. 1) complete a registration form (download CWEMS Seminar Registration Form 2018) and submit via US Mail with check or money order payment. 2) complete a registration form (download CWEMS Seminar Registration Form 2018) and email to info@hawkventures.com and then submit payment via credit card through our Shop. We also encourage you to simultaneously register for the Summit (click here to securely register for the Summit via our community college portal). 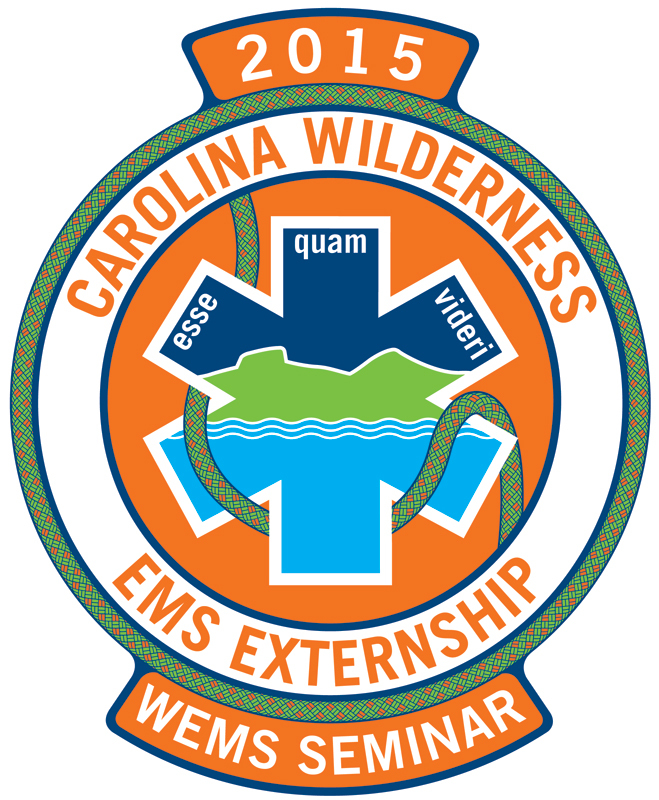 Attendance at the 2018 Carolina Wilderness EMS Externship will earn a certificate of attendance. Application for continuing education credits is currently in process.